The Seto petty knife is a great utility knife, a pretty much universal in the kitchen – whether for cutting or peeling vegetables or breaking down whole chicken. 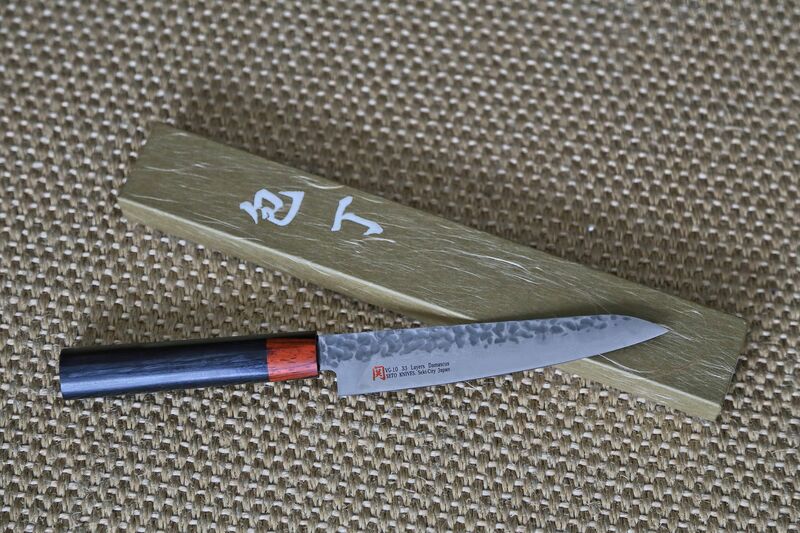 As long as you are not trying to chop bones the Sato petty knife is up to almost any task. 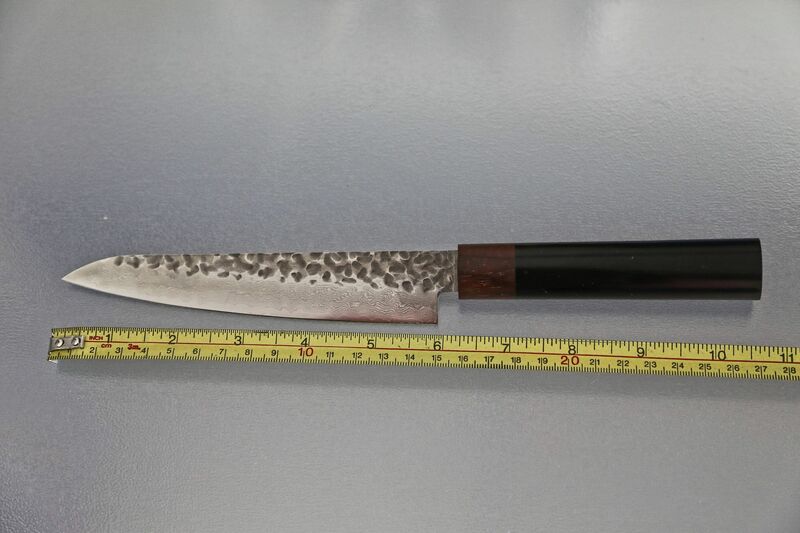 The knife is 6 inch (150 mm) long and 1.25 inch (30 mm) wide at the blade base. The handle is red sandalwood. Hammered (tsuchime) pattern adds to knife’s beauty and eases slicing. The knife was razor sharp out of the box. 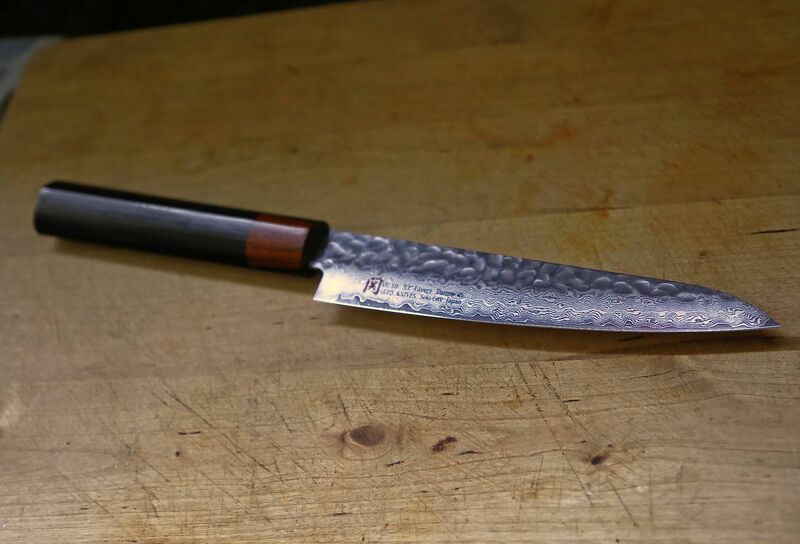 Click the following link to buy SETO Japanese Chef Knives: Damascus Forged Steel from World Famous Seki, Japan (I-2: 150m/ m: PETTY KNIFE) .